Justin joined our Canberra office in 2011, His focus is on managing the Building Approval process for residential clients, with a large portion of that ensuring Exempt development compliance as well as carrying out inspections at various stages throughout the construction process. Justin is actively continuing his professional development and currently holds dual accreditation; within the ACT and NSW. 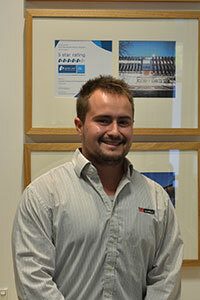 Presently holding a Diploma in Building Surveying, Justin is continuing his study to attain a Bachelor of Construction Management (Building) (Honours) from the University of Newcastle.